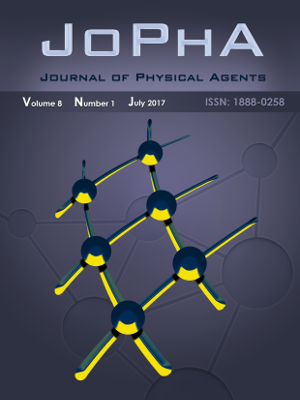 Journal of Pysical Agents (JoPha) looks for contributions describing scientific works in all areas that use agent-based technologies concepts, especially industrial applications, robotics and domotics (physical agents) and applications related to the information society, (software agents) highlighting the similarities and synergies among physical and software agents. We understand that physical agents applications are mainly orientated to the control, coordination and planning of autonomous systems. Agents for the real world: robotics, domotics, vision, control. See the Announcements section for Call for Papers. For subscription, introduce your personal data in this form.